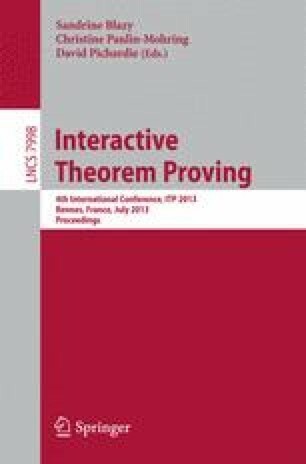 We address the multicore problem for interactive theorem proving, notably for Isabelle. The stagnation of CPU clock frequency since 2005 means that hardware manufactures multiply cores to keep up with “Moore’s Law”, but this imposes the burden of explicit parallelism to application developers. To cope with this trend, Isabelle has started to support parallel theory and proof processing in 2007, and continuously improved the use of multicore hardware in recent years. This is of practical relevance to theory and proof development, since their size and complexity is roughly correlated with the real time required for re-checking. Scaling up the prover on parallel hardware will facilitate maintenance of larger theory libraries, for example. Our approach to parallel processing in Isabelle is mostly implicit, without user intervention. The system is able to exploit the inherent problem-structure of LCF-style proof checking, although it requires substantial reforms of the prover architecture and its implementation. Thus the user gains significant speedup factors on typical commodity hardware with 2–32 cores; saturation of 8 cores is already routine in many applications. The present paper provides an overview of the current state of shared-memory multiprocessing in Isabelle2013, which also benefits from recent improvements of parallel memory management in Poly/ML (by David Matthews). We discuss common requirements, problems, and solutions. Concrete performance figures are analyzed for some applications from the Isabelle distribution and the Archive of Formal Proofs (AFP).